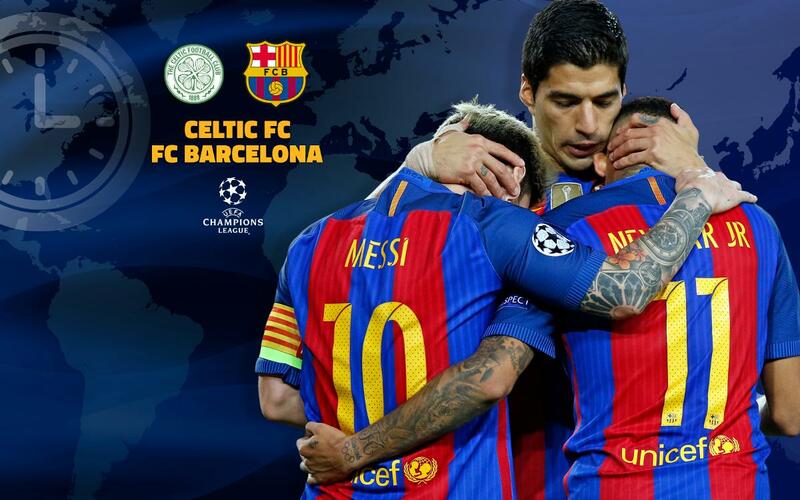 Another big UEFA Champions League matchup is upon us, as FC Barcelona head north to Glasgow, where they'll take on Celtic at Celtic Park at 8.45pm CET on Wednesday night. Currently in first place in Group C with nine points, a win for the Catalans will clinch them a berth in the last 16. A tie will do the job too, as long as third-place Borussia Mönchengladbach don't win their home fixture with Manchester City. Check out our handy TV guide below, which lists local broadcast information and kick-off times around the world. You can also listen to live play-by-play streamed in English on Radio Barça, as well as follow our exclusive, minute-by-minute updates on FC Barcelona's official Twitter account as the action unfolds. Don't miss it!